Agape Unlimited, located in Bremerton, Washington is a treatment organization that provides adequate care to men, women with children, pregnant women, and struggling families with substance abuse and chemical dependency issues. 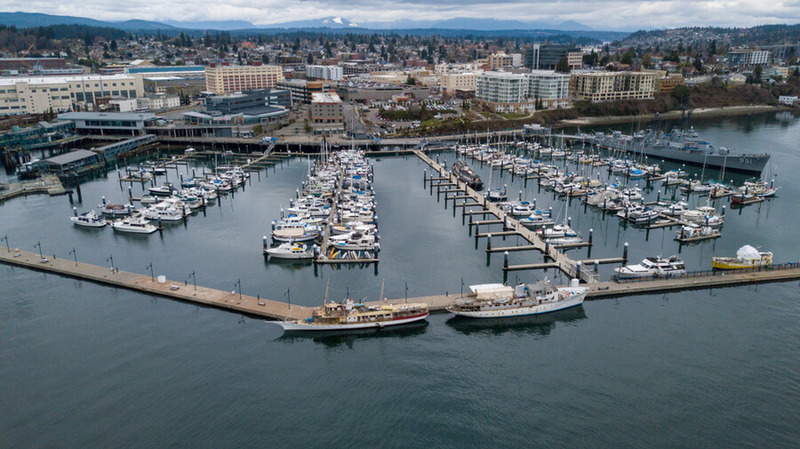 With over 30 years in operation, the facility offers state-supported recovery programs to individuals living within the Bremerton area and began in 1985. Agape Unlimited offers outpatient treatment to individuals seeking chemical dependency treatment, and also offers two sober living homes as aftercare or a treatment option to women experiencing financial difficulties. The facility believes in full body treatment both mind, body, and soul. Clients in the program are required to remain sober and are treated using individualized treatment plans. The facility offers holistic treatment therapies to clients along with its multiple program tracks. On admission into the facility, most clients begin with an Intensive Outpatient Program (IOP), and after completion of this program, clients can step down to a less intensive treatment track. Clients registered under the IOP (intensive outpatient program) are required to attend group therapy for two to three hours daily, three to four times a week. The facility aims at educating individuals on the consequences of addiction and the disease as a whole. Other topics addressed during these groups include parenting, career development, and gender-specific issues. Clients can still meet for individual therapy, if required with a counselor, despite the bulk of group therapy offered. Children can remain in the Child’s Development Center when their mothers are in individual or group counseling. Child services provided to children are offered at no additional cost, and a relapse prevention group services are offered to parenting and pregnant women. After completion of the primary intensive outpatient program, clients will still continue to attend group meetings. Clients seeking dialectical behavioral therapy might not find much here, but referrals to outside behavioral health facilities are available. The staff team is complete with housing case managers, administrative staff, chemical dependency professionals, and childcare providers. The facility offers two separate housing programs to clients registered at the treatment center. One of the housing programs is The Koinonia Inn, which offers supportive services in a highly structured housing program for at-risk women, who are addicted to substances and are in jeopardy. The facility makes available a 14-bed, which can house up to 6 pregnant women at a time with 8 of their children. Other supportive services offered include case management, licensed child care, coping and life skills, all offered on-site. The other program called the Sisyphus II Housing Program, which offers different components (3) to chemically dependent individuals, homeless, and families providing independent and permanent living spaces. The facility offers a highly effective outpatient treatment to clients suffering from chemical dependency issues. Case management services are also offered to clients in this program and struggling families and women with children can benefit from the uniqueness of the care offered. Agape Unlimited price varies depending on the kind of care offered to clients. Clients can contact the facility for more information on payment and treatment options. The facility currently offers a sliding scale payment model, which means that the price for treatment is calculated based on the gross monthly income of the client. Most health insurance plans are accepted and private pay options using credit cards are accepted. The facility’s programs are state certified by the State of Washington. The facility offers support to the Parent-Child Assistance Program and offers classes for the ADIS (Alcohol and Drug Information School). The Parent-Child Assistance Program is a program that offers at-risk women with children case management, and it is offered through the University of Washington and it is a federal research program. Clients still receiving treatment at the facility despite a lapsed insurance, are advised to apply for the Medicaid program. The Medicaid program helps cover the complete treatment cost except for costs for drug testing. The treatment facility offers a range of options in its substance abuse recovery program to struggling families and young mothers seeking treatment. After primary treatment, clients can be assured of a continuum of care through transitional housing and basic outpatient treatment. Clients seeking strongly 12-step based programs or clients with co-occurring disorders, might not find Agape Unlimited to be the best option. In totality, the facility offers comprehensive, holistic, and affordable treatment to clients seeking substance abuse treatment.